the new ones or the old ones? Agents of the Police State are immune to discipline. what JJ said. even the questioning of some incidents equates to hating the boys in blue. 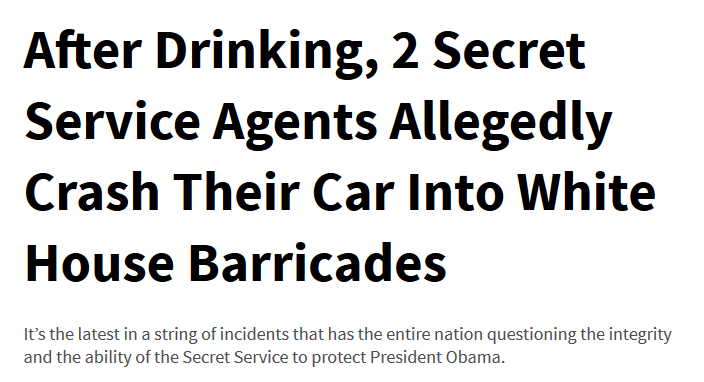 I tend to think they probably weren't on duty, which makes the incident distasteful, but not threatening of the President's security. Not the brightest thing in the world to do, but I'm sure there will be some consequences. 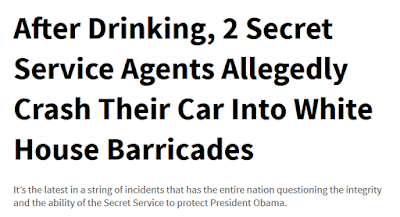 Drunk, crash car into barrier -- or as Boehner calls it, "A typical Tuesday night".